Chilliwack – Jeffery Straker plays Chilliwack’s The Acoustic Emporium on April 27 (45892 Wellington Avenue). Tickets are $15 and available at the door. Often drawing comparisons to a young Billy Joel, Kris Kristofferson, or Elton John – his own personal influences have really come to light on his new record, which was released in the Spring of 2017. It’s a 12 song epic folk/pop album which features the likes of Royal Wood, and Daniel Ledwell. It debuted at #5 on the iTunes Canada Singer-Songwriter charts and has had airplay on CBC Radio as well as college/community radio. The album was produced in 5 different studios with a myriad of producers at the helm, which is no surprise – ’cause Jeffery is always on the move. He plays (on average) over a 100 shows a year worldwide. The Toronto Star called his work “one of the most faultlessly conceived and meticulously executed albums in any genre to come out of Canada in a long time”, and his home province of Saskatchewan gave his record a top 10 placing in the “best albums of 2017” rankings. 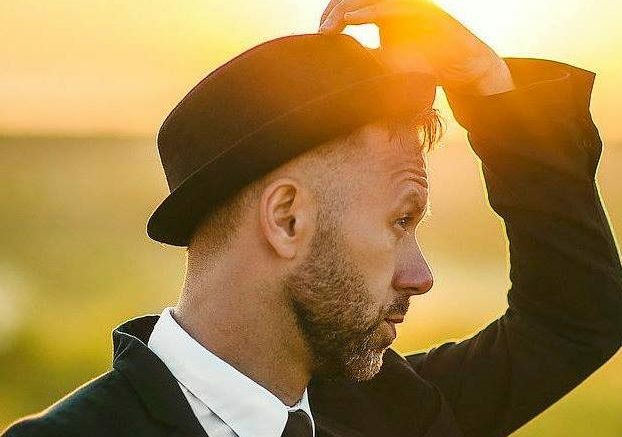 Be the first to comment on "Jeffery Straker Plays Chilliwack’s Acoustic Emporium – April 27 (VIDEO)"